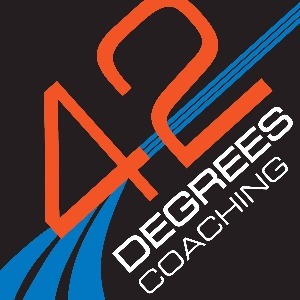 42 Degrees Coaching was founded on the belief that every level of rider is entitled to World Class coaching. With a proven track record in helping riders achieve their goals, 42 Degrees Coaching is able to offer everything you need to be the very best you can be utilising Training Peaks and British Cycling qualified coaches. 42 Degrees Coaching operates an open communication policy and no hidden extra charges. One price, one focus, YOU. 42 Degrees might be the angle of the banking on an indoor Velodrome but the services I provide are not exclusive to track riding. I believe every rider that wants to invest in coaching should have access to the most professional and personal level of training and planning, whatever their budget or goals. I am able to work with Power, HR and also PLE (Perceived Level of Exertion). Training plans are uploaded weekly to Training Peaks Premium Account. Annual planning and goal setting. Weekly individual custom training sessions. Nutritional support, diet advice and planning. Tactical advice and weaknesses addressed. You pay one monthly price! Riders are encouraged to contact me as often as they need to. I do expect weekly feedback from riders as I am here to develop you but I won’t charge extra for any additional communication, in fact, I encourage you to do so. Success. Coach Kyleigh Manners has been notified of your message.